We welcome you to Absinthe 101, your guide to the elegant spirit known as Absinthe. You are here today because you seek information on this illicit and intoxicating beverage. We hope to put you on the right path toward exploring the exciting world of Absinthe. Absinthe is an anise-flavored spirit that is as high in alcoholic content as it is in it’s mysterious background. Derived from herbs, including leaves of the herb wormwood, this liquor is distinguished by it’s often natural green color. Originating in Switzerland, this alcoholic drink gained immense popularity amongst French artists and writers at the turn of the 19th century. 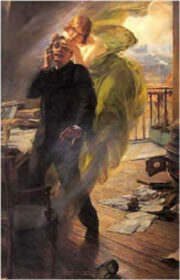 Coined “the Green Fairy”, Absinthe was seen as a highly addicive drug because of the small amounts of thujone that were present in the drink. It was eventually targeted by governments across the world and saw banishment from the United States and much of Europe. Since last decade, Absinthe has seen a revival of sorts throughout the world. Laws have loosened making it easier to manufacture and distribute this distilled beverage. There are currently over 200 brands of Absinthe being produced, with the vast majority in Europe. This newfound interest in the “Green Fairy” has interest and debate into one of the most mythical drinks the world has ever seen. 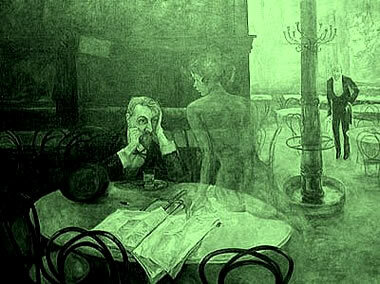 Absinthe 101 is an attempt to educate and entice interest into the wonderful world of Absinthe. We tackle the many myths that surround the beverage and answer the questions about it’s true effects. We investigate it’s storied history and effects on cultures throughout the world. The famous drinkers if this liquor as well as the effects it had on their lives. Most importantly, we will teach you how to choose and acquire Absinthe legally, and educate you on the many ways it can be prepared to your delight.